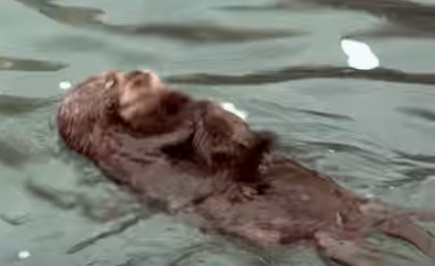 #TVisCOOL: Mom and new born sea otter pup getting to know each other! Mom and new born sea otter pup getting to know each other! Last week, thousands of people got to watch the birth of a wild sea otter pup live online, and millions more have been touched by this conservation success story. Watch as mom and pup get to know each other in our open-to-the-ocean Great Tide Pool, right off the back deck of the Aquarium.